Looking for advice. I struggle with squaring the clubface at impact with any consistency. From what I can tell, I get the club inside on the takeaway, I then drop my hands on the downswing, my body stalls and I flip my hands through impact which results in either a hook or blocked shot. I know part of the route cause is i roll my wrist on the takeaway which gets the club inside early. 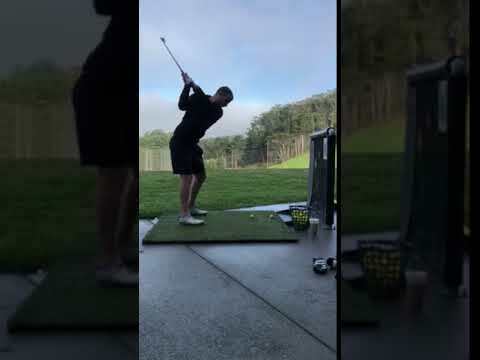 I'm working on fixing that now and using the drill in the video below to get the club working up quicker. This does help a bit but it doesn't stop me from stalling and flipping through impact. Below are a few videos from this morning. As you can see, when I get to the top, I still drop my hands and flip through impact. I always feel like I’m trying to save the swing through impact. Driver is by far the worst. Any help or thoughts would be appreciated. Maybe getting a bit "stuck" in the down swing - which is consistent with your inconsistencies. 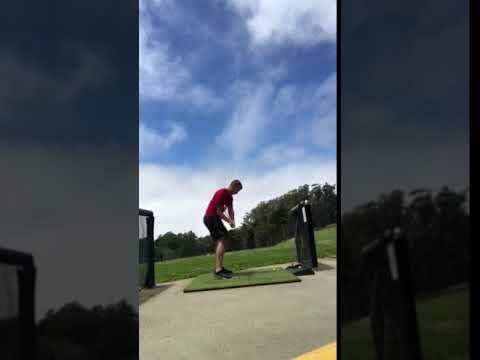 I'd focus more on the transition than the take-away to get the arms out in front better/sooner (or maybe a bit more/deeper hip turn in the back swing). Might help to get a face on video. But mostly thought I'd post to bump the thread back up to the top of the queue. So hopefully you'll get more qualified help responding in no time. I'm having this problem still as well. I am having trouble feeling my arm come off my chest. Are there any others feels that help do the same move? Monte's great. Also check out the Arm Swing illusion topic pinned at the top of the instruction topics. Helped me get arms more in line and have better space to operate. Actually I should probably revisit that LOL. Just from my personal experience I tend to do that too. And what helps me square at impact is a feeling of releasing or unhinging my wrist through impact. A vertical release, not a roll or hold. 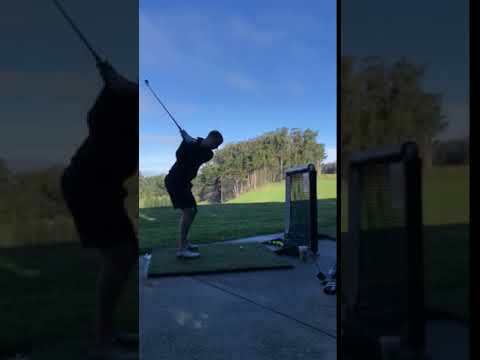 Goes from draws to push since my swing plane then becomes too much from the inside (years of compensating has made my habit to swing too far from inside and closing the clubface to make it draw). I've reduced the draw somewhat but still fundamentally a problem. Reminds me I need to start working on that again as I got better and forgot about that stuff and got worse again! Hazards of going without a teacher lol. club face appears open at p6 leading to the flip release to square it up. Looking again, it does appear you get your lead wrist extended in the downswing versus flexed. Need more motorcycle (with a nod to one C. Walken). 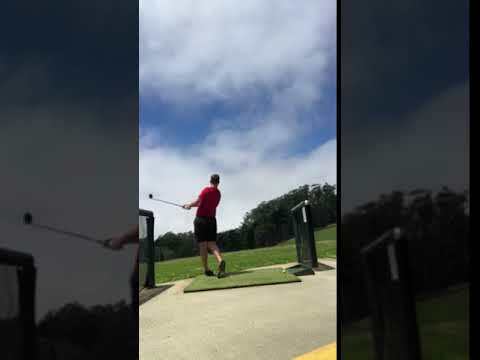 So, the only way I was going to hit the ball was to flip the club at it. I am talking severe pull snap-hooks, 75 yards out and just as many yards left. My then girlfriend (now wife) at the time actually took a couple of videos on the phone without me knowing one day when she came to the range. This was like in 2006 or something so it was a big deal, and I never considered using the phone for pics or vids for the purposes of analyzing my swing. What I saw was shocking and changed my swing forever. 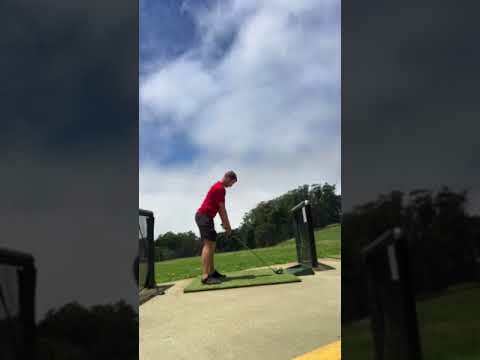 On my takeaway/backswing, my right leg straightened out and went along for the ride with my flat swing. All of that power and stability that comes from the legs was totally leaking like a busted fire hose. In your second video (the one where you let go of your hands), I can see a little bit of that right leg doing the same thing, but not as much as mine did. For me, I would then rotate and push off so much around that leg on the downswing that I often finished the swing facing at 11 or even sometimes 10 o'clock (assuming your target is at 12). I would throw my hands out, and hit everything off the heel. Monte I think perfectly describes this at 5:07 - the spinout. I NEVER hit anything that went right during this time; no blocks, pushes, slices...just straight duck hooks. 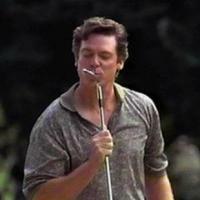 SO...after all is said and done, I wasn't returning the clubface squarely to the ball. So I practice with 2 thoughts in my head that generally keep me consistent and have worked very, very well for me. 1 - Pretend, at address, as if there is a cast that covers my right leg from just above my knee to halfway down my shin. 2 - Pretend that there is a broomstick or pole resting right on my spine, and that I have to rotate around that. These 2 thoughts have saved my game. I will snap one every once in a while, but employing these 2 thoughts have made me enjoy the game. Looking again, it does appear you get your lead wrist extended in the downswing versus flexed. Need more motorcycle (with a nod to one C. Walken). My next steps are to try Montes Drill - I'm hoping it will flatten out the downswing and prevent the two-way miss. Per your comment, I also want to get the club face a bit more closed at the top of the backswing. Will add updates tomorrow! To me it looks like the club moves too much lengthwise on the ds. Really need face on. Are you trying to point the handle end at the ball coming down? Went to the range to test out Montes advice on freeing the left arm - I did sense the freedom he referred to with all clubs except Driver. Driver is still going left and right. Here are 3 videos from DTL. Unfortunately, wasn't able to get face on. I still feel like there is something else in my swing causing these problems. Trying identify the cause and solution. Let me know your thoughts. Went to the range to test out Montes advice on freeing the left arm - I did sense the freedom he referred to with all clubs except Driver. Driver is still going left and right.